Downsizing more than just your home can help a lot during retirement. You’ve eliminated square footage, sold off extra furniture, and trimmed the fat off of your possessions. Yet there is one more item you may have forgotten about: your car. No more taking the kids to school and transporting several carts worth of groceries home means that you can now get a vehicle more appropriate for your lifestyle. Why waste money maintaining an SUV when all you have to transport are your golf clubs? We take a look at some of the benefits of trading your oversized gas guzzler for a smarter, more efficient vehicle. But first you must ask yourself, "Is it the right time?" Are you still in the middle of a car loan repayment? If so, then you might want to hold off for a little while. As Consumer Reports points out, most car loans are organized so that the borrower pays more interest in the first month than in the last month, meaning that the most expensive period of ownership is in the very beginning (also taking into account taxes, fees, registration, etc). Even though dumping your newer SUV for a fresh-off-the-line compact vehicle might be tempting for saving on gas, you’re essentially starting over with the most expensive time period of car ownership. Also, your car has (most likely) yet to accrue any equity due to gas costs, monthly payments, and depreciation. The longer you own your car, the more time you have to amortize your vehicle. In most cases, the amount of money you save at the pump is offset by the thousands of dollars spent buying a new vehicle. So why downsize in the first place? If the timing is right, it’s simple economics, really. The most obvious reason to forego a large vehicle for a compact one is the economy at the gas station. Although hybrid cars, on average, have a higher sticker price than gas-exclusive vehicles (around $4,000), the whole idea is that over time the savings on fuel will save you money in the long run. Yet, in order for that to work, you have to own the hybrid vehicle for a few years before the difference in the price of the car is made up for in gas savings. A recent study on hybrid cars found that, after five years of ownership and 15,000 miles, a hybrid car will save an average of $3,371 on fuel. Sounds great, but when played against the higher sticker price, an average of $4,647, it doesn’t make financial sense to buy a hybrid unless you intend to own it long term. What about just a smaller car? Even without the hybrid technology, a smaller car will typically perform much better miles per gallon (MPG) than their larger counterparts and are cheaper up front. Comparing the most popular SUVs with the most popular sedans in 2015, the sedans have a lower MSRP and a higher MPG and can save hundreds dollars in fuel annually. Downsizing your car in retirement is perfect to complement your downsized home and low-maintenance lifestyle. Larger cars typically have more features and premium additions that can waste time and money. It’s not just the size of the car that matters, but the brand as well. A smaller luxury brand can have higher maintenance costs because of the rarity of needed parts and ability of only a few mechanics to operate on that brand. Even the highly coveted hybrid vehicles come with their own unique maintenance costs. The hybrid battery is more expensive than other car batteries since it has to do more work. (One of the reasons you’re getting fantastic MPG is because the battery picks up the slack for the less fuel needed for the engine, making it a more complicated piece of equipment). Instead of paying a few hundred dollars for a new battery, a new hybrid battery can easily run into several thousand dollars. Your best bet for a low-maintenance car is to buy a popular, compact, gas-efficient (but not necessarily hybrid) vehicle. 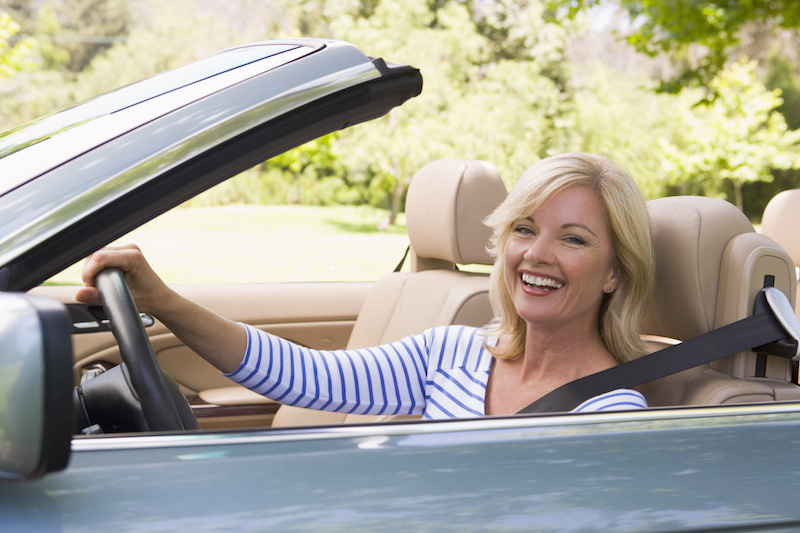 But just as there are various types of cars, there are just as many different car owners, and choosing the car that’s right for you in retirement will depend on your lifestyle, budget, and priorities. Just make sure it’ll fit your golf clubs.